This is my first road bike and will forever be my favourite. With some fresh fuel, oil, timing belts I gave it a tickle and it fired right up. Someone was then parting out a 1000ss, so I bought the forks (TiN coated, revalved, full adjustable), twin disc front brake setup (600ss was single disc) and Marchesini wheels. I fitted them, then buffed the fairings to smooth them and put the stickers on. I also fitted remote reservoir Brembo master cylinders for clutch and brake. I do have a Superlight replica tail section which I have to make the mounts for and paint. I will also do some power mods soon. I am not on my full licence yet so in this country I am restricted on what cc I can ride. Here it is at a pizza shop with my mrs' 998. The owner is bike mad and was so excited he named the new special after us. The "Salami V-Twin"
Did that 5 spoke rear wheel fit between your swingarm? I always thought that swingarm of a 600 was narrower. Nice effort, sweet lil' ride. 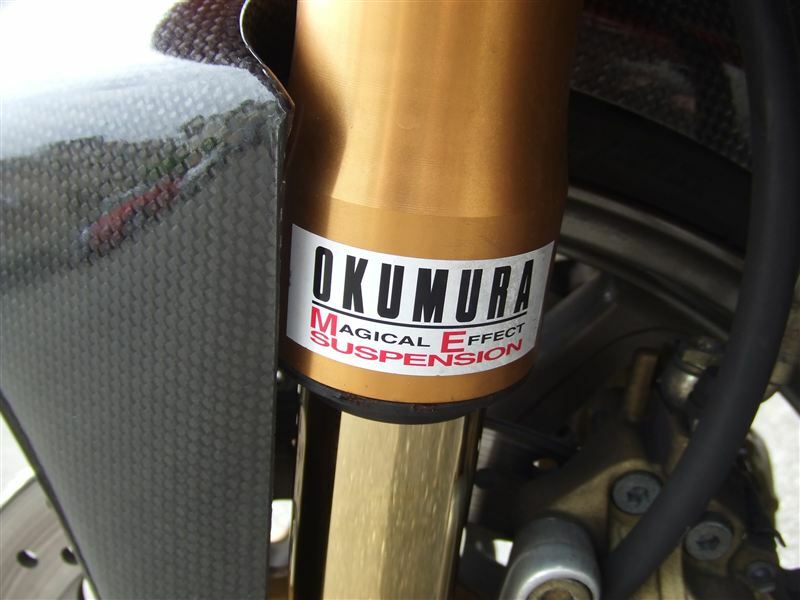 Thanks for the Okumura pic too, every time I see one of those stickers I think to myself "I gotta get me sum o' dat!" Modified steel subframe for single seat unit.